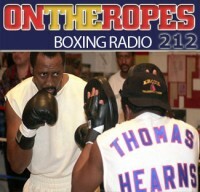 “On The Ropes” Boxing Radio returns again this week with host Jenna J to discuss all the latest fights and fight news in boxing. In this episode I will be previewing the upcoming HBO PPV event which will feature a middleweight clash between Mexican star, Saul ‘Canelo’ Alvarez and Puerto Rican icon, Miguel Cotto. I will talk of the significance of this fight as well as the controversy surrounding Miguel Cotto and his decision to drop the WBC middleweight belt days ahead of the fight. Additionally, I will give my thoughts on the build up to this event and give my official prediction for Alvarez vs. Cotto. 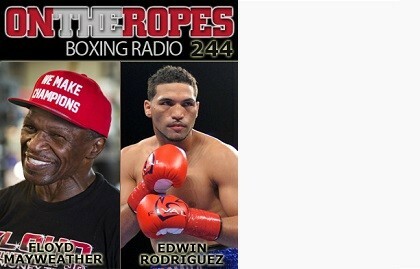 Joining the show this week is former super middleweight title contender, Edwin Rodriguez, to talk about his move to the light heavyweight division and his recent fight of the year candidate with Michael Seals. Edwin discusses his thoughts on the fight with Seals in which he tasted the canvas twice before coming back and winning the fight by TKO, and what the future holds for him in this new weight class. 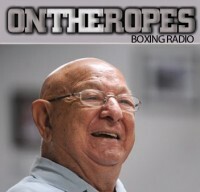 Rodriguez also shares his views on the current belts holders of the division, Adonis Stevenson and Sergey Kovalev, and how he thinks he matches up with them. Lastly, ‘La Bomba’ speaks about the upcoming Cotto-Canelo title fight. 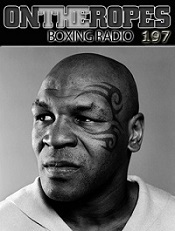 The main guest on this episode is none other than trainer and father of the recently retired best pound-for-pound fighter, Floyd Joy Mayweather Sr. Floyd makes his return to the show to talk about his son’s recent retirement and if he feels there’s a chance for a comeback. Mayweather Sr. also discusses the ongoing feud between Oscar De La Hoya and Floyd Mayweather. 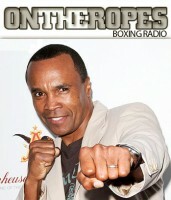 Floyd also gives his analysis of the Miguel Cotto vs. Saul Alvarez fight, as well as his prediction for the match. In addition, Floyd Sr. shares his views on the legacy of Manny Pacquiao and how he feels he will be remembered by the fans. 1 Response to "Floyd Mayweather Sr on his son’s future, De La Hoya’s comments & Manny Pacquiao’s legacy. 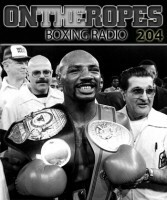 Also with Edwin Rodriguez – On The Ropes #244"
upon so far. But, what about the bottom line? Are you certain concerning the supply?